Are you prepared for a prolonged power outage, natural disaster or other type of emergency? 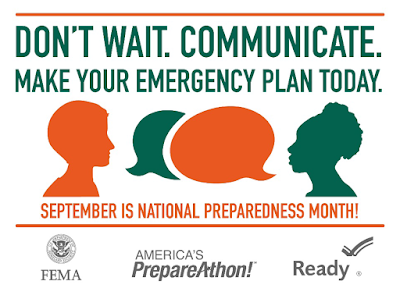 September is National Preparedness Month! Take stock of your emergency supplies, plans and other things you need to do to stay safe! 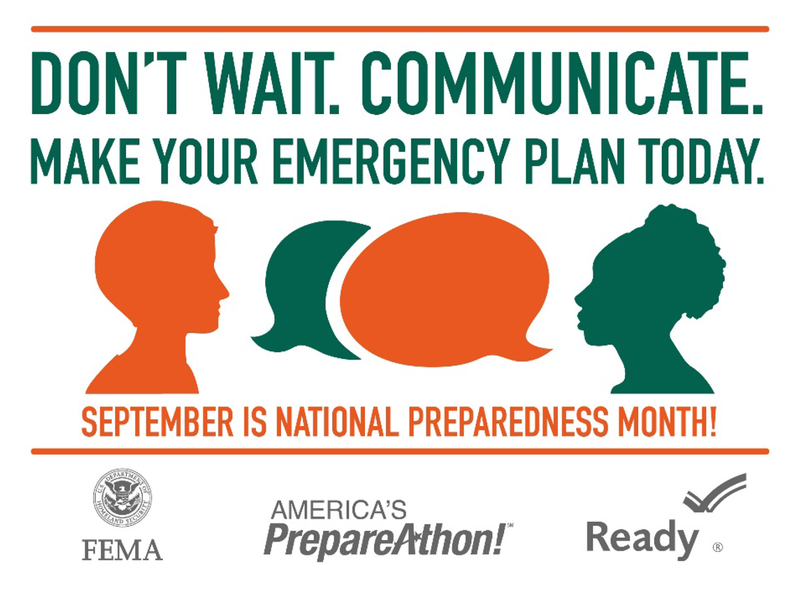 Here are some tips and resources from ready.gov to help you create an action plan.